This area is well-known for its ecosystem, which shelters remarkable flora and fauna. From the bar to the head of the river, the Etel valley is an enchanting mixture: beaches of fine sand, hidden creeks with the remains of tuna fishing boats which once brought wealth to this corner of southern Brittany, seabird sanctuary islets, mysterious forests, and oyster farms providing marine delicacies. It is a delight to discover this most secret of the little inland seas in any season. For keen sailors or canoeists the river estuary offers a large area opening out to the sea. For those who prefer the beach, the dunes show the way. Signed paths offer walks to discover shrines and chapels, which feature in lovely local legends. 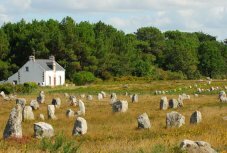 Carnac is the essence of southern Brittany, a fashionable coastal resort, well-known for its beaches of fine sand and fields of standing stones. Do sea views charm you ? Enjoy the simple natural pleasure of walking on the kilometres of coastal tracks through the protected landscapes around the “Little Sea”. 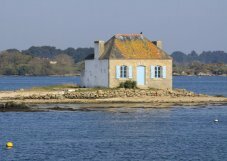 The island of Berder, near Larmor-Baden, offers a unique experience. Accessible at low tide, the rising tide can trap the unwary on the island, to the amusement of better-informed passers-by. Are you interested in history with a capital “H” ? 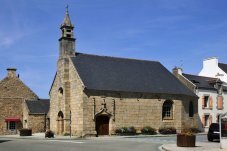 You can literally touch it: cairns and megaliths at Arzon and Locmariaquer, mediaeval cities in the hinterland, the Suscinio Castle of the Dukes of Brittany at Sarzeau... The treasures of the Gulf don’t reveal themselves all at once … it will take a lifetime! 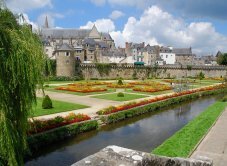 Historic and modern at the same time, Vannes charms you with its ramparts and mediaeval centre, as well as its university and businesses oriented towards the future. This rich and varied environment deserves to be promoted and preserved. A free ‘Browse through Auray’ guide is available from the tourist office. 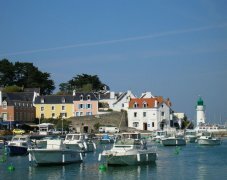 This pretty town is situated in a river valley in the Gulf of Morbihan, sheltered from the winds, where the river and sea meet. 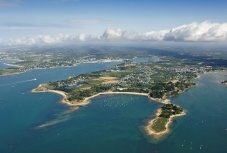 In the Middle Ages, the Dukes of Brittany built a bridge, a port and a castle, resulting in a town with two parts: the port, at the foot of the fortress, and the upper town, above the port. Although the fortress disappeared in the 16th century, the half-timbered houses and the stone buildings are clear evidence of the historic wealth of the town. Historically a trading port, St. Goustan is now a centre for leisure sailing, browsing and walking. Its unique historic atmosphere and shimmering colours are also an inspiration for artists. Over the past centuries, the traditional heart of the town has hardly changed. Auray has preserved the charm of historic towns, with its narrow paved lanes and half-timbered houses. The large market on Monday mornings has been one of the main meeting places for centuries. 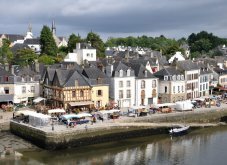 Discover Auray by taking the heritage walks. 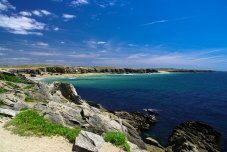 Throughout the year, the districts of Belle-Ile are enlivened by exhibitions, concerts, shows and festivale.